After graduating with two music degrees from the University of North Texas (Bachelor of Arts and Master of Music), Brenda Dillon began her teaching career. Served on the keyboard committee for the Music Educator’s National Conference and also served as co-chair of MENC’s Music in Our Schools Week. Organized a keyboard committee for the TX community colleges. In addition to her organizational involvement, Brenda began presenting workshops at state and national conferences. Her group piano workshops led to invitations from educational organizations, as well as music industry seminars. Before leaving community college teaching for music industry, she served as Dean of Fine Arts at Brookhaven College. Celebrity Advocacy Video, a video that included leading actors, sport figures, senators and other professionals discussing how the discipline and enjoyment of learning to play the piano had helped them in their personal and professional lives. Also included was Schroeder, the lovable, piano-playing Peanuts character. Additional brochures and videos that included An Open Letter to Parents, Possible Dream and Twenty-Questions Brochure, and Make a Home with Music Video. Research at McGill University in Montreal, Canada to study elementary-age piano students to determine if piano lessons aided non-musical behaviors such as self-esteem, cognitive abilities and academic achievement. The 21st Century Piano Project, a data gathering project to research piano buyers and what they expected from piano teachers, retailers and technicians. After The 21st Century Piano Project confirmed that 54% of piano purchasers purchased their instrument for themselves to learn to play the piano, NPF initiated leadership in the development of Recreational Music Making programs and began sponsoring RMM seminars at the state and national level. Brenda organized these seminars and selected numerous presenters to assist with this endeavor. In addition to teaching RMM classes, Brenda began doing extensive teacher training throughout the U.S. She also developed materials, wrote articles and authored three books published by Hal Leonard and co-authored an RMM Handbook for Piano Teachers published by Alfred. 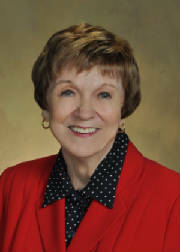 Serving as an education consultant for Roland, U.S.
Brenda received a Lifetime Achievement Award from the National Conference on Keyboard Pedagogy in 2011. The recipients of this award (L-R) include Brenda Dillon, Elvina T. Pearce, Martha Baker-Jordan and Frances Larimer. The awards were presented by Marvin Blickenstaff (L), Past President of The Frances Clark Center and Sam Holland, Executive Director of The Frances Clark Center.